Here’s an interesting contrast between what can be done with our wallboard vinyl compared to your common laser print. 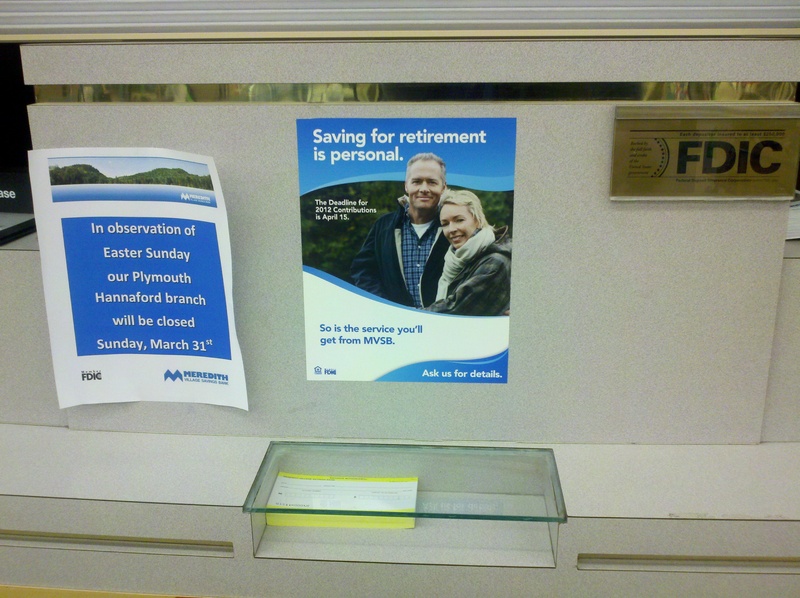 Our customer wanted temporary signs for the bank. Our wallboard vinyl fits the bill since it has “sticky note” adhesive on the back, it goes up easily and comes down just as easy. In the meantime, it stays flat and looks great! Contrast that with the paper temporary signs they used previously! So much more professional. The bank uses it for promotions and new product announcements that customers read while their business at the bank is being transacted. Temporary signs like this are inexpensive, so they won’t bust your promotional budget. They create a better impression, too! This entry was posted in large format printing and tagged bank signs, point of purchase, temporary signs. Bookmark the permalink.